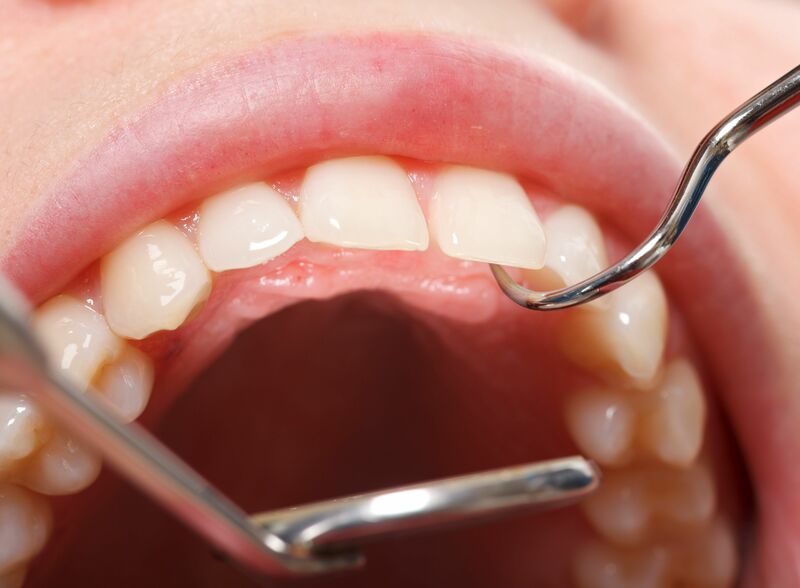 Proper dental exams are crucial for diagnosing and treating dental problems of various kinds. Our Wilmington family dentistry practice places an emphasis on preventative care and thorough screenings for dental problems. Detecting and treating an issue early is always for the best. With this in mind, we want to take a closer look at oral cancer. There are different warning signs to consider, and a proper cancer screening by your dentist can help you receive the early treatment you need. One of the best ways to reduce your risk of developing oral cancer is to avoid using tobacco products and to limit your consumption of alcoholic beverages. If you should notice combinations of the above issues, be sure to discuss them with your dentist during your next checkup. Should the matter seem serious, be sure to schedule a dental visit sooner than usual, or to schedule a visit with your physician to undergo a medical examination. An oral cancer examination will involve a close look at the mouth, neck, jaw, and face. Your dentist will first look inside of your mouth to note any abnormal growths, discolorations, sores, lesions, and so forth. Sometimes a dentist may ask you to rinse your mouth with a blue dye. This helps make abnormal cells and growths easier to spot. Your dentist will then feel the tissue around the face, neck, and mouth to check for lumps and growths. You and your dentist can discuss the pain you're feeling, how long it's been going on, and other factors pertinent to diagnosing your condition. Additional tests may be requested in addition to your oral cancer screening. A biopsy may be taken so a growth can be determine cancerous or precancerous. The results of the biopsy can be discussed at a follow-up visit. Tests beyond that may be necessary in some cases, though it can vary from patient to patient. How Often Should I Undergo an Oral Cancer Screening? Typically an oral cancer screening is part of your regular dental checkup. That means you'll receive some form of screening every six months when you see your dentist. As you get older and as cancer risk increases, oral cancer screenings become a more important part of your routine exams. As we noted above, however, don't be afraid to ask for an oral cancer screening before your next checkup if you are concerns. Early detection of oral cancer improves your chances for successful treatment. To learn more about regular cancer screenings, the warning signs of cancer, and other issues related to your general health and wellness, be sure to contact our advanced dental care center today. We look forward to your visit and helping you receive the help and treatment you need.